Back in February when we ran our Future of Running Week, we asked a whole host of runners - from Olympians to people that simply just love running - to think up their dream running watch. I didn't make a contribution for the feature, but if I did I would have said that the idea of being able to monitor hydration would be a really nice thing to have. That's based on the fact that I know that this kind of technology for wearables is being worked on and knowing that being dehydrated not only impacts on running performance, but recovery too. It's not something I've felt I've really struggled with before, but with the heatwave we've been experiencing in the UK, and having just completed what I'd consider my first proper ultra in Race to the Stones in brutally hot conditions, it was the first time I really felt that yes, this actually would be a great idea if Garmin, Polar, Suunto and the rest could make it happen. It's been a few days since the race and I've been suffering from headaches, which I don't doubt is tied to running in the sun for too long and not getting my hydration right. I carried two bottles of water in my running bag and with no solid fuelling plan in place for the 50K race, I adapted the one I've used for past marathons. I would drink when I hit certain distances, and made sure I took the time to take on water at each pit stop station, about 10-11km apart, where I'd also refill them. At the finish I was tired - as you should be after 50k of running and walking in the heat - but it seems the knock-on effects of doing that have caught up with me a few days later. 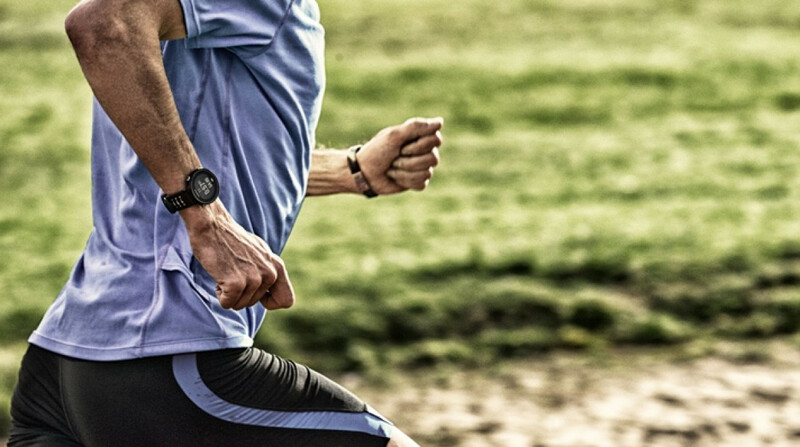 So a hydration monitor feature on my watch could make all the difference, whether it comes in the form a dedicated screen, a data field or even an alert to tell you when you're dehydrated. Even better, it could advise you on the optimum time to top up on H2O or rip open another energy gel. That would have not only improved my performance, but stopped me feeling as bad as I do right now. It's why I'm actually excited that hydration monitoring wearables are no longer just an idea. There are startups working on making it happen right now. But (and it's a big but), like anything, it's clearly going to be a while yet before this kind of technology is anywhere near a Garmin or an Apple Watch. Why? Well, monitoring hydration, much like monitoring heart rate or any other data from the body, is clearly going to be hard to do, especially to a point where it's accurate and offers insightful data. When I spoke to Azar Alizadeh, a senior material scientist who was working on several projects concerning wearable hydration devices, she told me that it was a very "complex phenomenon". That was in 2016. During that time we were supposed to see perhaps our first biggest hope that a desirable hydration monitoring wearable solution had been cracked. Startup BSX raised over $1 million for its LVL hydration monitoring wearable. The startup believed it had the optical sensor technology locked down that it needed to make it happen. But the project has been delayed for various reasons and, despite expecting to rock up in 2018, there's very little evidence that it is still going to happen this year. At the very least though I hope that companies making watches for runners and endurance athletes are at least looking at the idea. I'm sure they are, but while built-in music players and contactless payments are nice features to have when you're getting some miles in, it's the ability to have that extra hit of data that could improve performance and keep you safe that I want.